Ask Yourself These Questions First! Questions like that are important. Most people start, focus and finish there. Yet those are not the first questions you should ask. A companion article with a link just below will delve into those topics. But before you go there to investigate the merits of one guy over another, let‘s take a look closer to home. Major disappointments or surprises can develop when people are not fully aware of their personal situation. This Guide #1 introduces nine factors you need to consider before approaching someone for help. As the first in a series of articles, it is designed to assist you in making this decision as an informed homeowner. You will develop reasonable expectations and also be able to provide pertinent information to the estimator. Guide #2: Comparing Lawn Care Companies is lengthier and will present you with insight and questions to ask the potential service provider about what they do, what they know, and what they have to offer. With this combined knowledge both parties have the best chance to enter into a compatible and successful relationship. Let’s get started now with a comprehensive look at the things you need to be aware of before interviewing individuals or companies to provide lawn care services. Do you want to turn over complete responsibility to someone else and have nothing left to do, except look at and enjoy your yard? As you reflect on those options, consider more than just the actual tasks themselves. Think about the combined investment of time, energy and money to accomplish each one. You may enjoy some gardening chores and hate others. How would your quality of life improve by making certain changes? Don't overlook the fact that your own health is as significant as that of your yard and should factor into your decision! Could you get by with seasonal help? 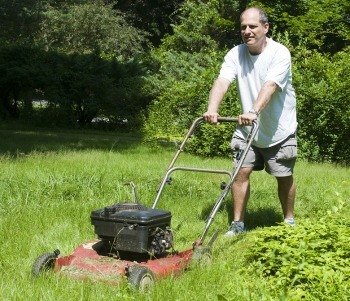 Could you manage to do the weekly mowing, if you had someone take care of the occasional or more difficult chores? 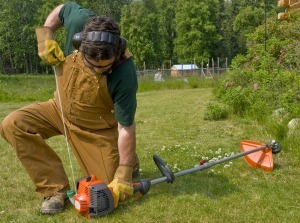 It may be more difficult to find a lawn maintenance company that will accommodate a request for sporadic help. But at least verbalize what would be ideal for you. You may have to make concessions to get a particular company or a certain quote. Taking this approach will let you know what you can afford to sacrifice. It will also clarify for what items you are willing to pay. Do you have a dog or other pet, particularly one that has outdoor privileges? Will your dog(s) impact the easy access to your property needed by employees of the lawn care services company? Can you accommodate their scheduled appearance with a means to restrain or control your pet? Is your dog a type that would be intimidating to some or most people who enter its territory? Be aware that it is your responsibility to ensure that your pet will not be able to escape during the visit. Gardeners should not be asked to watch out for a pet while they move equipment in and out of your yard. They may be conscientious to avoid an escape, but if it happens, they really do not have the time or even the ability to recover your pet. Another source of concern is pet droppings. You may be required to have used the “pooper scooper” shortly before their arrival. Will this fit in with your typical routines? This will be a deadline that must be accommodated or an alternate established. Another negative scenario can develop if you change your mind. You may be able to get a discounted price from someone who expects to continue on with the maintenance. If you dismiss that person or company once the hard work is done, don’t expect any follow up service should you later have a question or concern about the work they performed. If you are sensitive to chemicals (or opposed to using them), especially weed or insect sprays, discuss this with the person in charge. The options include using no products at all, or items that are labeled as approved organic materials. The critical concern is always that the crew doing the work is as aware, and responsive, to the mandates that are promised to you by a supervisor. The importance of this understanding is that you do not want to develop a reputation for being a fussy, nit-picking customer. Be reasonable and objective as you evaluate the finished product. Lawn care services from a competent, reliable and trustworthy person are typically in great demand (because there is so much of the deficient alternative out there). If you are a pain to deal with, you may find yourself going through the search process again. Reciprocate getting great service with your appreciation and loyalty. If a company is all you could hope for, be willing to write a reference letter for them. They will be thankful and take even more pride in providing you with excellent service. Once you know what you want, you are ready to go find it. Please utilize the follow-up article, Lawn Care Companies - Guide # 2 to prepare yourself for interviewing several candidates. All the questions you need to ask will be presented, along with the important considerations that will provide you with the best opportunity for success in this venture. Thank you for visiting The Garden Counselor. We hope you’ll return to investigate other topics on Lawn Care, and recommend us to your friends. Why Grass Stays Brown for information that may help you decide to tackle a problem yourself, or call for help. Lawn Fertilizer general info page. Perhaps a greener lawn is just an application away!